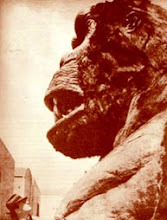 For his last big screen simian appearance, Charles Gemora once again played Poe's killer ape in 1954's PHANTOM OF THE RUE MORGUE. 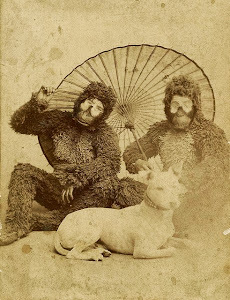 At this point in his gorilla suit career, Charles was far from fit for duty. 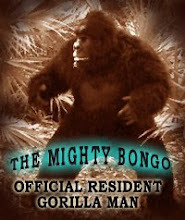 Heart troubles prevented Gemora from performing anything overly strenuous; stunt men doubled for any scenes of heavy action. The pics above come from the private collection of his daughter Diana Fox Jones though the source of the images is not entirely clear. The image titles suggest scanned film cels but I cannot claim to be knowledgeable enough to know for certain. 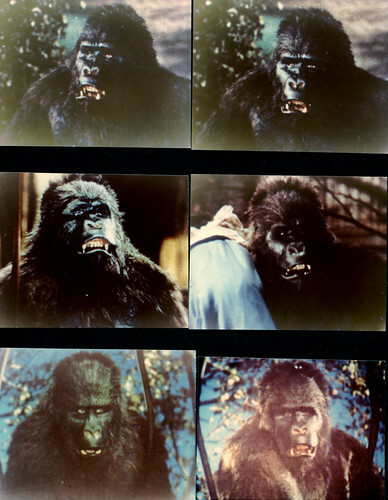 Though the film is less than a stellar entry into the Horror genre according to most critics (though I have yet to find a DVD to determine my personal take on it), I have to imagine that Gemora drew some satisfaction in having his gorilla mug actually appearing on the screen in this reworked Poe tale. 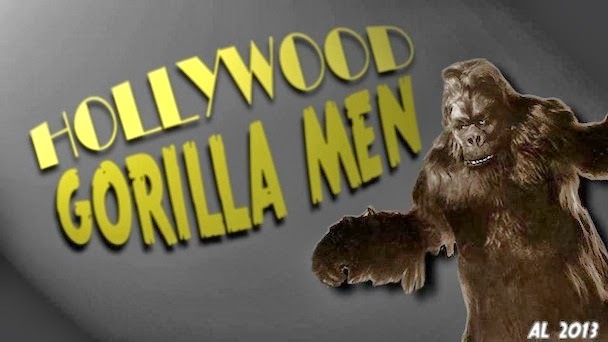 For those unfamiliar with the 1932 MURDERS IN THE RUE MORGUE, Gemora's gorilla suit is seen only in medium and long shots. 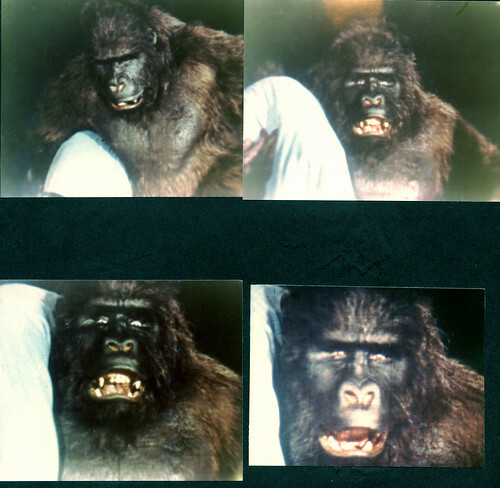 Close ups of his grotesque killer ape were substituted for jarringly mismatched footage of a real live chimp!